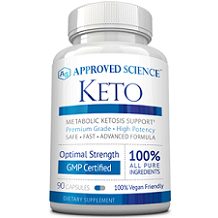 The following is our review of Ketolabs KetoCore. It is a dietary supplement specifically designed for low carb dieters. They claim it isn’t just a multivitamin, but the ultimate low carb supplement. It contains ingredients that support a feeling of more energy, youth, and less stress, especially during the beginning of a ketogenic diet and ketosis. This product is lab tested to meet accurate identity, strength, composition, quality, and purity that appear on its label. Continue reading for our full review. The ingredients that make up this product promote glucose metabolism, insulin sensitivity, liver fat reduction, brain Function and protection, improved immunity, antioxidants, stronger bone support, better mood, lower blood pressure, less cramping, better circulation, improved heart health, more energy, no keto flu, and easier digestion. It is recommended to take 3 tablets daily, preferably with meals, or as directed by a healthcare provider. Each bottle will last you a month. You should not exceed the recommended dose. You should also avoid taking this product along with other dietary supplements that contains high levels of elemental chromium. You should consult with your doctor before using this product if your pregnant, nursing, under the age 18, diabetic, or have a known medical condition. If you are allergic to milk, soy, wheat, egg, peanuts, tree nuts, fish, or crustacean shellfish, know that this product was manufactured and packaged in a facility that also produces items with those ingredients. Ketolabs KetoCore is currently on sale on the manufacturer’s website. It is usually sold for $59.99 but can now be purchased for $29.88 for a bottle of 90 tablets. Each bottle will last you about a month, which makes this product fairly priced if you get it on sale. We were unable to find any manufacturer guarantee for this product. This shows us that the manufacturer has very little confidence in their product’s effectiveness. It also does not give the customer much confidence either, as well as a risk-free buying experience. There are a couple of positive things about Ketolabs KetoCore. It is sold for a pretty fair price and has many positive customer reviews. Customers said this product gave them energy and even helped get rid of their muscle aches in less than 24 hours. There were a couple of negatives about this product as well. One customer said this product made them get sores in their mouth and another said that their regular vitamins work better than this product. This product is also not backed by a guarantee which shows us that the manufacturer has very little confidence in their product’s effectiveness. It also does not give the customer much confidence either, as well as a risk-free buying experience. We feel you can find a safer and more effective product elsewhere.